Do you know how to get outstanding results from pupils? 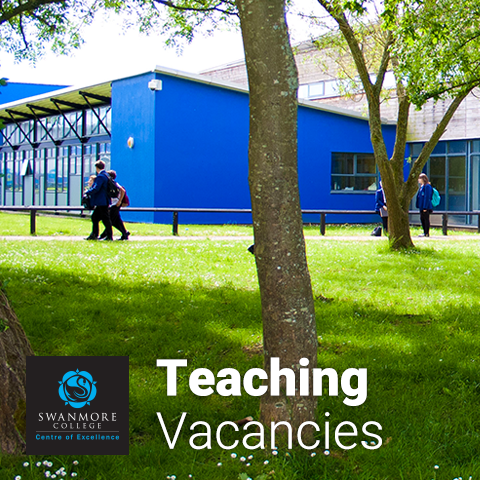 We are seeking to appoint an inspiring, enthusiastic and ambitious English teacher to join our forward thinking and supportive English department from September 2018; this post will also be suitable for an NQT. The successful candidate will be an outstanding classroom practitioner, or aspire to be, who has the ability to enthuse our pupils with a passion for the subject and encourage them to become independent learners. A willingness to participate in departmental extra-curricular activities is also essential. We are looking for candidates who will raise attainment in the department with over 90% of pupils achieving their targets. The College provides excellent training and development opportunities for teachers. Swanmore College and Hampshire County Council are committed to safeguarding and promoting the welfare of children and young people and expect all staff and volunteers to share this commitment. We will ensure that all our recruitment and selection practices reflect this commitment. All successful candidates will be subject to Disclosure and Barring Service checks along with other relevant employment checks.